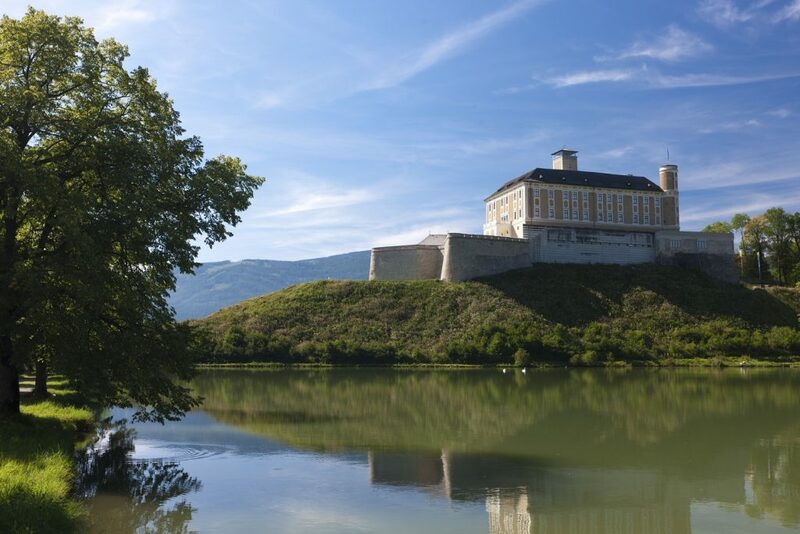 Situated on the River Enns Cycle Trail, Trautenfels Castle sits on a rocky promontory at the foot of the Grimming. 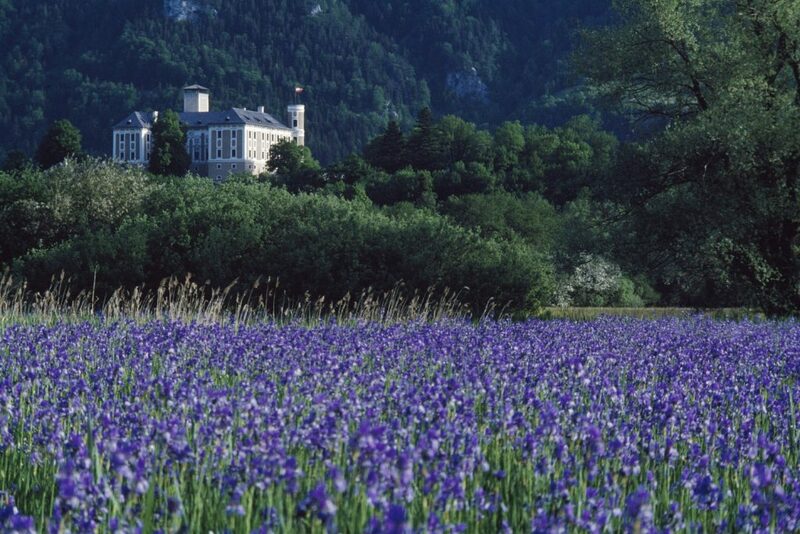 In spring it is surrounded by flowering meadows of iris and it is constantly looking up at the proud mountain. Mountain worlds have always fascinated mankind. They were once seen as the seat of mythical figures or as places of energy. But also the scientists and sportsmen have also tackled mountains and shape the image of the mountains in human consciousness. The Grimming has always been a challenge for mountaineers. 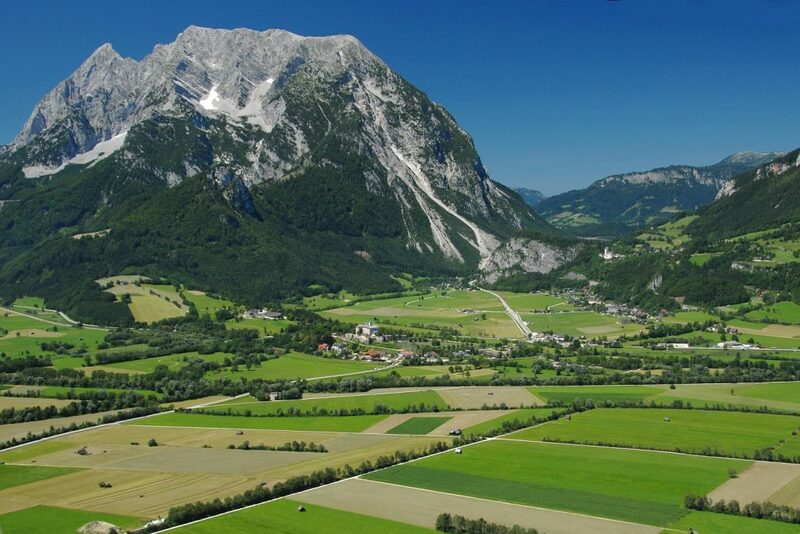 It has dominated the landscape of the Enns Valley since time immemorial. There are still numerous legends about the mountain, such as the hidden Grimming Gate, which according to such legends, opens once a year to give a few people access to the mountain. It is not only the Grimming that is impressive – a special cultural treasure is enthroned in its immediate vicinity and is clearly recognisable in the landscape: Trautenfels Castle stares back at the castle and its lookout tower offers the perfect view of the surrounding area. 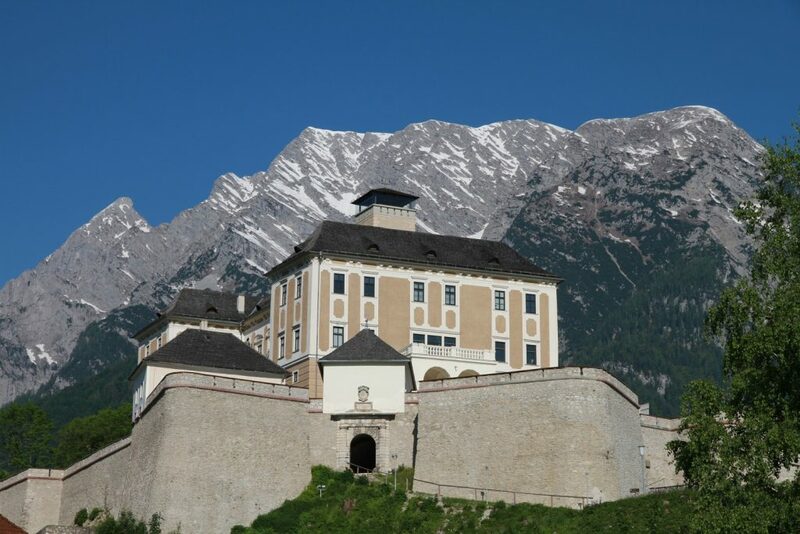 The museum that the castle houses is part of the Universalmuseum Joanneum, which has sites all over Styria. As a cultural centre for the Central Enns Valley, Trautenfels Castle provides interesting and informative stories via permanent and special exhibitions: The main themes are the natural and cultural history of the region, the area around the Enns Valley. 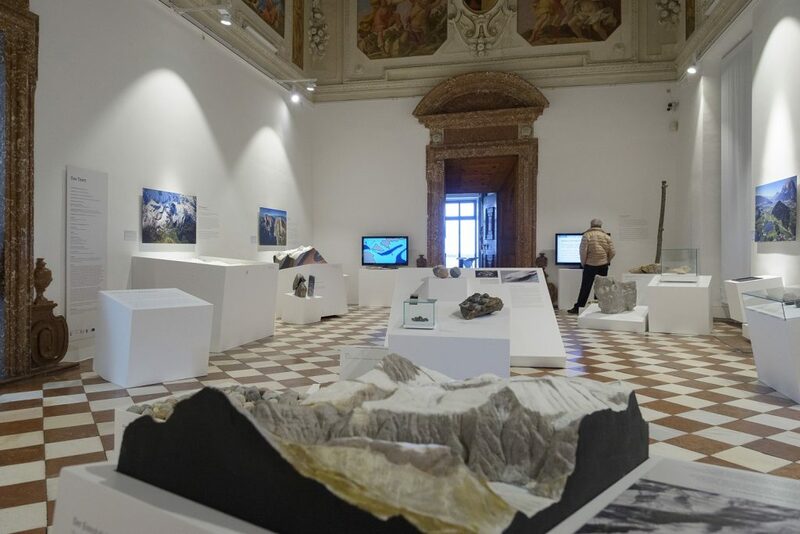 It presents old customs and traditions and traces the former importance of the treasures gained from the mountains, such as iron ore, salt and minerals. The architecture of the castle is also impressive: as well as the exhibitions, it is worth looking at the castle’s baroque furnishings and experiencing an open-air event in the heart of the Enns Valley.